REELRADIO - The Darin Cirello Collection! Darin J. Cirello grew up in Long Island, New York. Like many, his fascination for radio began at a young age thanks to great local radio stations like WCBS-FM and WPIX-FM. In 1983 he moved to Dallas, Texas and was exposed to local legend Ron Chapman who held down morning drive at KVIL since 1969. At about the same time Darin arrived in Dallas, so did the new night guy at KEGL. He went by the name Kidd Kraddick. Kidd was the biggest influence in Darin wanting to get into radio. In July of 1987, at the age of 18, Darin went through the phonebook and called every radio station in Dallas looking for a job. He called Scott Reese at KLUV every day for fourteen days and was finally hired. Two years later, he moved to AM-570 KLDD (K-Oldie). Throughout the 90's, with a second career in technology beginning to take off, Darin continued to make part-time stops at Dallas stations KKWM, KLUV, KVIL and the ABC Radio Network, where he worked various weekend shifts on their "Pure Gold" Oldies format. Later he hosted a popular Sunday night request show called "For Lovers Only". He left ABC in January of 2000. Today, Darin works as a systems administrator for Bank of America in Dallas, Texas. He is a Microsoft Certified Professional and a Certified Lotus Notes Developer and Administrator. With a strong passion for oldies and a love for radio, most of his time is spent fighting off the "radio" demons that continue to creep into his mind. The Repository thanks Darin Cirello for sharing!
. . . Why don't you bring your girlfriend along and have her ride in the back with the guys . . .
Kidd Kraddick drives you home in the afternoon with this classic edition of a feature called "Burn your Buns", where Kidd calls and plays a practical joke on an unsuspecting listener.
. . . Like the shrimps and the oysters we'll cluster and cloisters this morning together . . .
A busy morning in Dallas/Fort Worth (weather-wise) and Ron Chapman is on top of it all as always. With brief appearances by Peggy Sears and Ron McAlliser with news and Ben Laurie covering traffic, Ron leans on the quick wit of his loyal and well trained listeners to help him through the morning.
. . . I am a sinner, but more importantly, I am a snake . . .
Another fabulous 50's weekend at 101.1 WCBS-FM with Ron Lundy on duty. "Momma" (I always thought she was played by Dan Ingram, but COMMENTS disagree) joins Ron for a little horsing around at New York's Oldies Station. 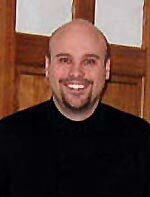 The Darin Cirello Collection has been part of REELRADIO since January 23, 2005.